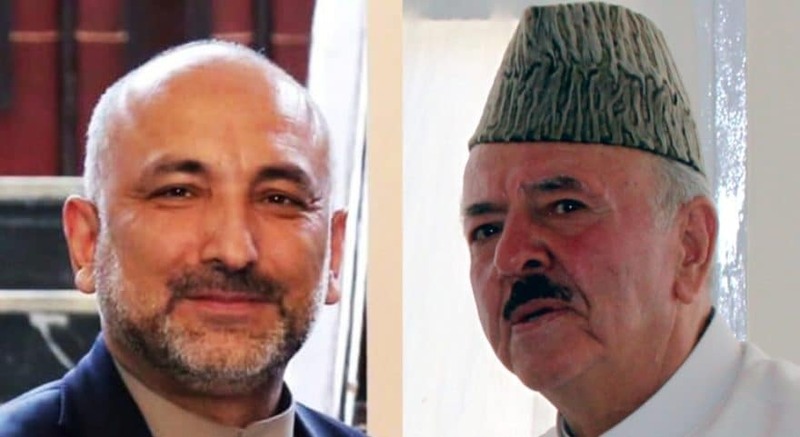 The Paiwande Milli Party (Hezb-e-Paiwande Milli) led by Alhaj Syed Mansoor Naderi has announced all-out support to Mohammad Haneef Atmar in the upcoming presidential elections. The party in a statement said Hezb-e-Paiwande Millie and the party’s allied institutions which include various political, social, and cultural setups, announces its resolute support to ‘Peace and Moderation’ team led by Mohammad Haneef Atmar in July presidential elections considering that the country is facing a critical and defining historic moment. The statement further added that the security, economic, social, and cultural situation is deteriorating each day the regional and international relations of the country moving towards an uncertain future while on the other hand the unity of the Afghans which is considered a major factor of the victory of nation against foreign conspiracies, has been seriously harmed and the continuation of the situation would lead to major crisis, emphasizing that tactfulness, compromises, and rational measures are required to take the country out of the existing situation. The party also added that the leadership of Hezb-e-Paiwande Milli believes that Mr. Mohammad Haneef Atmar, being a moderate, logical, and experienced leader, can take the country out of the existing critical situation, strengthen unity among the Afghans and bring sustainable peace and development in Afghanistan with. In response to a question regarding Hezb-e-Paiwande Milli’s decision to support Atmar in July 2019 elections despite being a supporter of Mohammad Ashraf Ghani during 2014 elections, the party’s spokesman Mohammad Arshad Mawani said President Mohammad Ashraf Ghani failed to practical steps for the realization of the commitments he made during his campaign for 2014 presidential elections. Manawi further added that the situation of the country has became seriously critical and there is a need for a change in the leadership of the government and administration strategies and approaches and Mohammad Haneef Atmar’s ticket is an appropriate option this time considering his experience and governance expertise. According to Manawi, Hezb-e-Paiwande Milli has always played an active and key role in political developments of the country and this time the party will support Mohammad Haneef Atmar in elections.